Keith Jarrett. 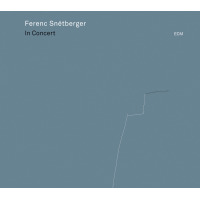 But while the playing is highly improvisational, Snétberger frequently draws on earlier compositions of his (and of course there's "Somewhere Over The Rainbow" as an encore). "Budapest -Part 1" is a fiery opener, with rasgueado strumming (associated with flamenco). 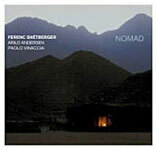 Initially improvised, it finally introduces an earlier melody that Snétberger always has at the ready. 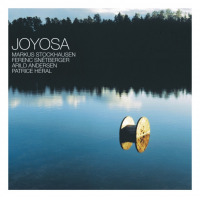 "Budapest -Part 2" is a calm contrast, showing the influence of Bach's contrapuntal writing. 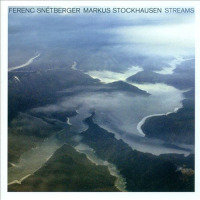 "Part 4" has a Brazilian samba feel, while "Part 5" is a free improvisationbut it sounds no less logical or precise than the prior selections. "Part 6" employs a tune previously performed under the title "Empathy." "Part 7" features the first performance of a new tune, and "Part 8" ends the main concert program with a reflective ballad. The version of "Somewhere Over The Rainbow" was the encore for this performance at Budapest's Franz Liszt Academy of Music, a gentle exploration of the standard associated with the movie The Wizard of Oz. It's a beautiful, assured performance, sure to appeal to fans of Ralph Towner, another classical guitarist (primarily) long associated with ECM. 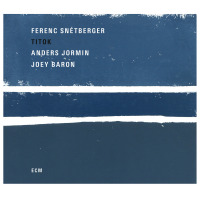 There are additional ECM recordings in preparation, including a new trio with Anders Jormin and Joey Baron. I look forward to hearing them. Track Listing: Budapest - Part 1; Budapest - Part 2; Budapest - Part 3; Budapest - Part 4; Budapest - Part 5; Budapest - Part 6; Budapest - Part 7; Budapest - Part 8; Somewhere Over The Rainbow.